Wait, this is what the Norwegian military is doing with its time? Not knighting me? Sir Eaglie? This is the problem with the world: not enough people are paying attention to birds, and when they do, it's the Norwegians with a penguin. 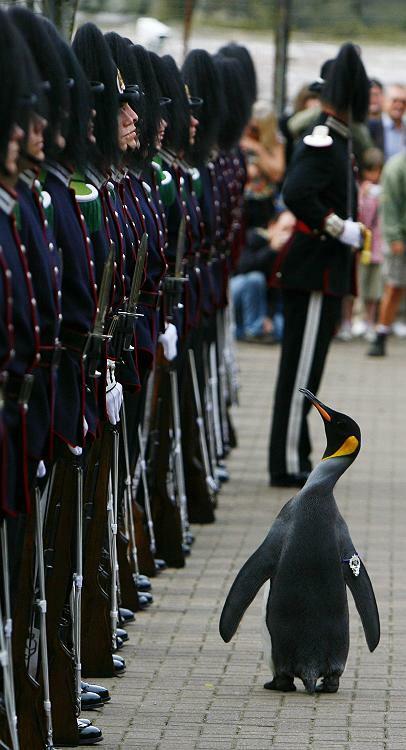 I sound bitter, so let me say this: Nils Olav isn't such a bad bird. Met him once, and we discussed the weather. This didn't last long, since it was winter, and I live in the Midwest--and he lives in freakin' Norway. Again with the Viking hate? I apologize, and extend congrats to you, Sir Nils. I'll see you at the convention in January.